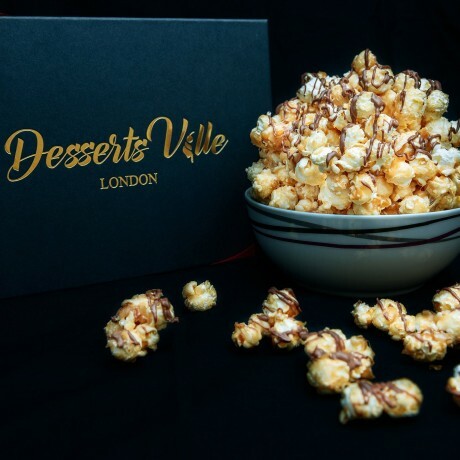 Delicious caramel popcorn drizzled with Belgian milk or dark chocolate lifts this delicious snack to an indulgent treat. Made with hot air popped corn and our unique real butter and brown sugar blend resulting in a fluffy, crunchy and edible caramel popcorn. The crunchy sweetness with luscious chocolate makes it irresistible until it's all gone. Sending it as a gift? – You will never be forgotten. Available to buy in different sizes as a pack of 3 bags (can be combined with other flavours), gift tin and glass jar. Milk, made in a kitchen that uses nuts!